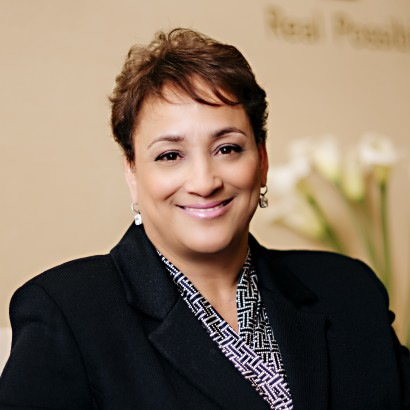 Jo Ann Jenkins is chief executive officer of AARP, the world's largest nonprofit, nonpartisan membership organization dedicated to social change and helping people 50 and over to improve the quality of their lives. Prior to her appointment as CEO, Jenkins served as their chief operating officer and before that, was president of AARP Foundation, AARP's affiliated charity. Prior to the coming to AARP Foundation, Jenkins was the CEO of the Library of Congress. In May 2010, she was recognized by the technology industry with the 11th annual Women in Technology Leadership Award for her innovative work on the Library of Congress Experience. She is also a recipient of the Library of Congress Distinguished Service Award. She is a Malcolm Baldrige fellow, recipient of the 2013 Black Women's Agenda Economic Development Award for spearheading investments undergirding innovative social impact programs, and one of the NonProfit Times' Power and Influence Top 50 for 2013 and 2014. In Disrupt Aging, Jenkins focuses on three core areas—health, wealth, and self—to show us how to embrace opportunities and change the way we look at getting older. Here, she chronicles her own journey and that of others who are making their mark as disruptors to show readers how we can be active, healthy, and happy as we get older. Through this powerful and engaging narrative, she touches on all the important issues facing people 50+ today, from caregiving and mindful living to building age-friendly communities and making our money last. This is a book for all the makers and doers who have a desire to continue exploring possibilities, to celebrate discovery over decline, and to seek out opportunities to live the best life there is.